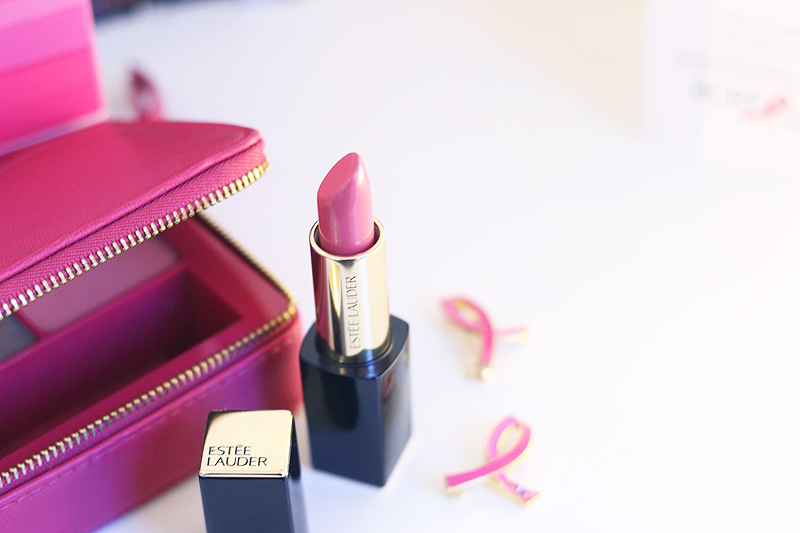 The Estée Lauder Companies have been actively involved in supporting the Pink Ribbon campaign with their own yearly campaign that runs from september to december: the Breast Cancer Awareness Campaign. In Belgium, five brands from the Estée Lauder lineup (Aveda, Clinique, Estée Lauder, Origins & Darphin) have created special limited edition products or repackaged products to support this campaign, while you can also opt to make a monetary donation on the BCA Campaign website. 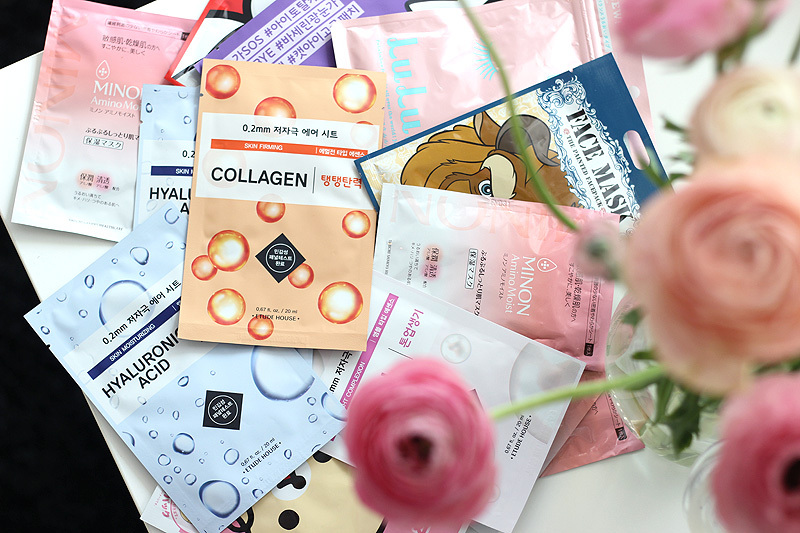 The products come in pretty pink packaging, to give you not one but two reasons to stock up on your usual favourites during this time. 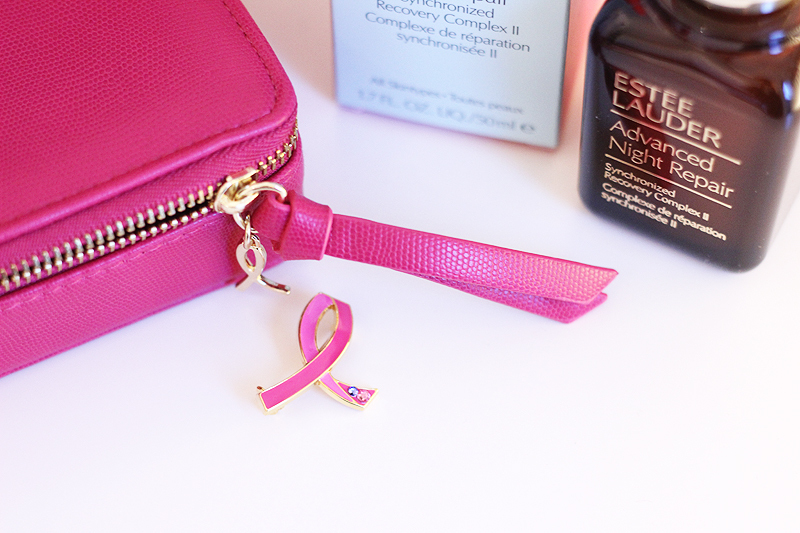 Estée Lauder's Advanced Night Repair Synchronized Recovery Complex II is part of this year's lineup and is sold in a pretty pink box & comes with a Pink Ribbon pin. This potent serum is a great addition to your nightly skin care routine, especially if you have a rough lifestyle and are battling with not getting enough sleep & stress. Find an old review here. A bottle of 50ml retails for €124,13 and 20% (roughly €25) of this suggested retail price will be donated to the Breast Cancer Research Foundation. 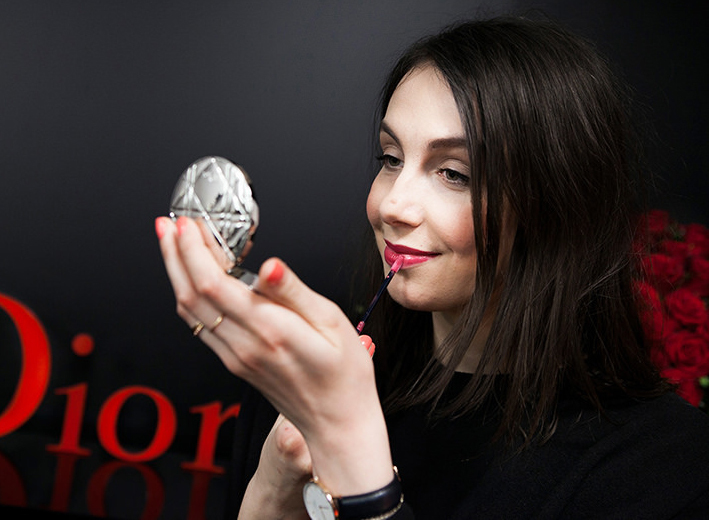 Still available on the Estée Lauder website & with Galeria INNO counters. Origins repackaged their very well loved Drink Up Intensive Overnight Mask, a super nourishing face masks that smells like apricots and leaves your skin looking plump and hydrated when you wake up in the morning. It was featured in my 2013 Favourites Edit here. 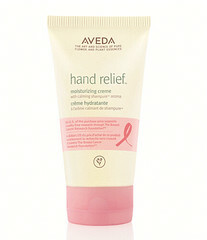 One tube retails for €25,00 & for each one sold, Origins will donate €4,00 to the Breast Cancer Research Foundation. Available at Parfuma Antwerp (sold out online). Estée Lauder also created a make-up kit that comes in a pretty pink faux leather box and contains 4 eyeshadows, a blush & a lipstick. The Pink Perfectionist Color makeup palette contains the best sold shades from their permanent Color collection and retails for €51,72. 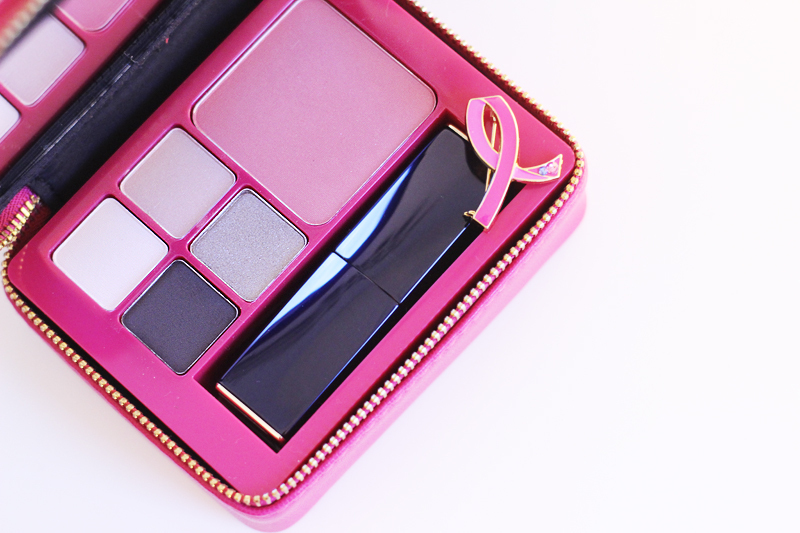 And it's worth noting that the whole suggested retail price - so €51,72 per sold palette - will be donated to the Breast Cancer Research Foundation. This one is available at Galeria INNO stores and is already sold out online. 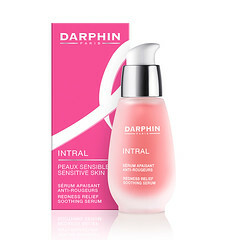 In Belgium you'll also find Darphin's Intral Redness Relief Soothing Serum in a special packaging with €10,00 per bottle donated to the BCRF, the Aveda Hand Relief Moisturizing Creme with €4,00 per tube donated to the BCRF and Clinique's DDML+ lotion that comes with a pretty key chain with €14,90 per bottle donated to the BRCF. 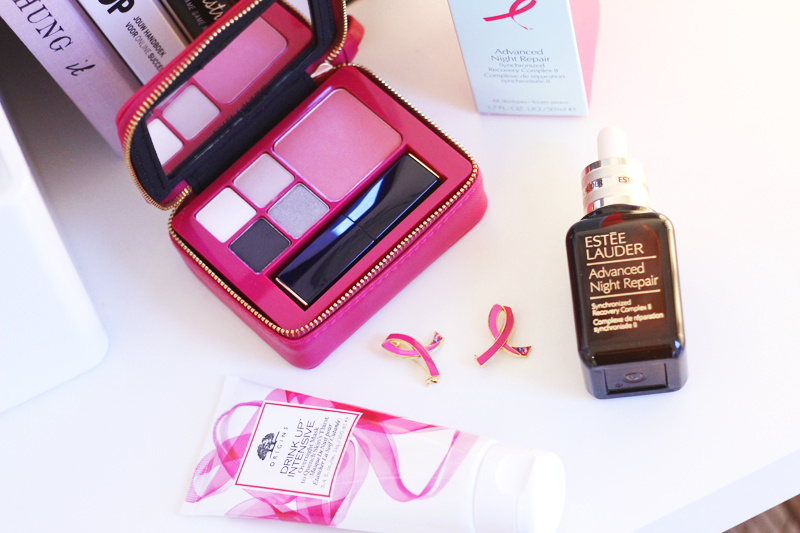 Internationally there are even more brands joining the BCA Campaign with limited edition pink themed products. Check out the whole lineup here. If you want to make a monetary donation instead, you can do so here. A donation of $50 supports the BCRF with one hour of research. And if you want to join the conversation or share how you supported the BCA Campaign, use the hashtag #BCAStrength in your social media posts!